We spent time with all three colors that will hit the US, the black, blue, and silver. Overall, in hand, I can’t help but say that this phone feels ridiculously amazing. Samsung continues to do these really subtle curves to the backsides of phones that help them nestle in and hide a bit of their size shock. 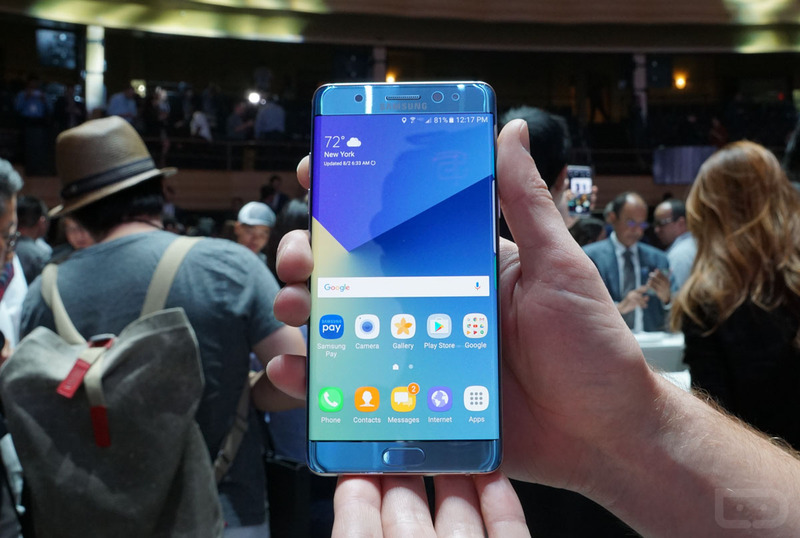 But with the Note 7, Samsung has also slightly curved the front side, so you get a phone that feels good in a way that not even the S7 Edge can lay claim to. In terms of specs and features, well, you guys know that story already if you have been following along with our coverage today. In the video below, we’ll recap this phone’s capabilities and taking you on a tour.